Have you been diagnosed with hydrosalpinx? Or, are you reading this saying “hydro what”? Hydrosalpinx is a complicated fertility problem, but there is hope. This article explains that hydrosalpinx is a cause of blocked fallopian tubes. I also share causes of hydrosalpinx and how it affects fertility. 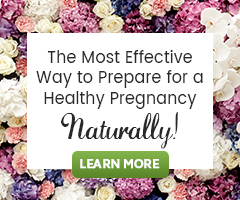 I hope to offer guidance on the best medical and natural approaches to consider in order to regain healthy fallopian tube function if you’re having this challenge. A hydrosalpinx is a type of fallopian tube blockage. It occurs when the fallopian tube at the end opposite the uterus becomes dilated or filled with fluid. Also called a distal tubal occlusion; hydrosalpinx can affect both tubes, as continuing fluid build-up can cause multiple hydrosalpinxes to form. It is detected in various ways, such as an ultrasound, during laparoscopic surgery, or through hysterosalpingogram (HSG) study. Hydrosalpinx is usually caused by infection from sexually transmitted diseases like chlamydia or gonorrhea, or Pelvic Inflammatory Disease (PID). Ruptured appendix, adhesions from pelvic surgeries, or endometriosis tissues that invade the fallopian tubes can also cause it. The infection causes inflammation and fluid buildup in the fallopian tubes. This eventually leads to abnormal dilation, blockage, and possible fertility challenges. Hydrosalpinx is usually discovered after a woman struggles to conceive, but may cause other symptoms like unusual vaginal discharge or pelvic pain (common for PID). How Does Hydrosalpinx Affect Fertility? While its role in infertility is not completely understood, hydrosalpinx can block the fallopian tubes, preventing the egg and sperm from meeting, and the embryo from traveling to the uterus. Experts theorize it may also affect uterine health, as infection fluid leaks into the uterus, affecting the uterine environment for healthy implantation of an embryo. Other fertility specialists suspect hydrosalpinx fluid acts as a flush, sweeping away a fertilized egg before it can implant. Some research finds IVF success rates significantly improve when hydrosalpinx is treated before a treatment cycle. In the medical world, surgery to remove the affected tube (salpingectomy) is the most common approach to address hydrosalpinx. Surgery is also an option if scar tissue, adhesions or endometrial growths are causing fluid buildup. If PID or STI (sexually transmitted infection) is the cause of hydrosalpinx, a course of antibiotics is a good choice to clear infection and offer a better chance for fertility. Sclerotherapy is another treatment option for hydrosalpinx. Sclerotherapy uses ultrasound technology to guide a needle to the affected area to drain fluid, and then inject a chemical to prevent any new blockage. Unfortunately, there is not much data on the success of this approach, and we know tubal repair is a difficult process for many women. Since research finds the chance of pregnancy is lower in women with hydrosalpinx, many women opt to treat hydrosalpinx with salpingectomy if they are planning to try to conceive naturally or do IVF. Begin with a Fertility Cleanse. Medical antibiotics are often necessary to treat hydrosalpinx. After antibiotic treatment, a Fertility Cleanse is a good option. A Fertility Cleanse gives the liver some needed TLC and helps remove toxins that can affect the fallopian tubes and uterus. Strengthen immune defenses. Any bout of infection puts stress on the immune system. Give the immune system a boost by focusing on a Fertility Diet high in nutrients that directly supports immune response. For more benefits, add a medicinal mushroom-like shiitake, Reishi or cordyceps to your natural fertility program for 1-3 months. Address Endometriosis. Endometriosis is a complex diagnosis and it requires a diligent approach for success. If your doctor suspects endometriosis and hydrosalpinx, start here for natural therapy suggestions: 5 Steps To Reversing Endometriosis Infertility. In many cases, working with a naturopath or booking a Fertility Consultation is the best choice for ongoing support. Promote tissue repair. Systemic enzymes help decrease abnormal growths and are useful to promote tissue repair after surgery without harming healthy tissue. Learn about the WURN Technique. Clear Passage has had documented success in reducing hydrosalpinx for women with non-invasive, physio/physical therapy. Stay tuned and come back to Natural-Fertility-Info.com for more on the WURN Technique. You have many options to promote fertility and increase your chances for conception with hydrosalpinx. Be patient! Encouraging a healthy, fertile body environment takes time even if you pursue surgery or IVF. Work closely with your doctor on your best steps and consider a blended approach (both natural and medical) to address hydrosalpinx when wanting to increase chances of natural conception.